Have you ever wondered what your pets are up to when you are gone? Of course you have! Like most pet owners, we hate to leave our beloved companions alone, even if its just for the work day! 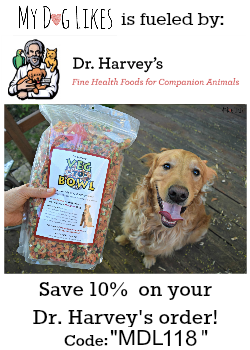 That is why we are so excited to tell you about a product that can help put your mind at ease, and allow you to check up on your precious pets whenever you feel the need. Vimtag is a manufacturer of consumer video surveillance equipment. They offer a wide variety of different models for indoor and outdoor use – from stationary cameras to ones that can be tilted and rotated remotely. These systems can also be set up with motion sensors to provide push notifications straight to your phone! 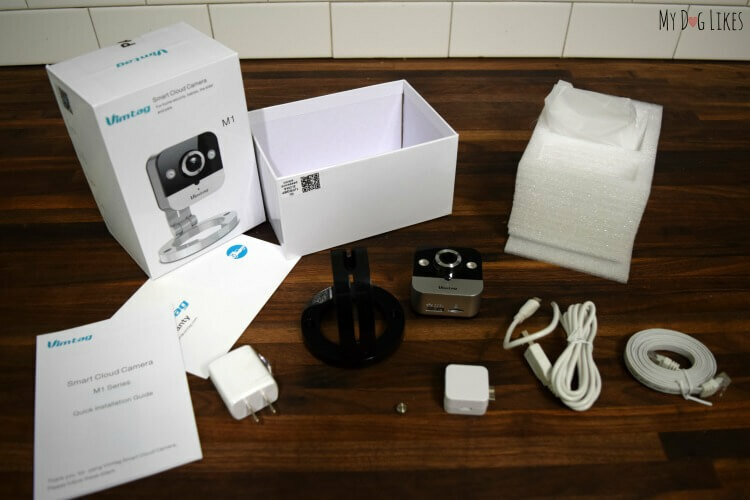 Vimtag was kind enough to send us an M1 video camera to review and they are also sponsoring a giveaway below! First things first, this camera is tiny. It measures roughly 2″ X 2″ X .5″ and is very lightweight (only 60 grams!). Not only does this make it extremely easy to set up and manipulate, but it can fit just about anywhere you would like. Video can be viewed at up to HD720P and 25 fps, which is more than enough to provide a clear streaming picture to your device. The camera also has a built in 4X HD digital zoom to take a closer look if needed. A built in micro SD slot gives you the ability to store up to 32 GB of photo and video or you can opt to purchase a Vimtag Cloudbox for up to 2 Terabytes of additional storage! We assumed that we would only be able to see what our pets were doing during the day, but the Vimtag MV1’s has built in night vision. Utilizing (2) 940 nm infrared lamps, this camera can provide a clear picture at any hour. 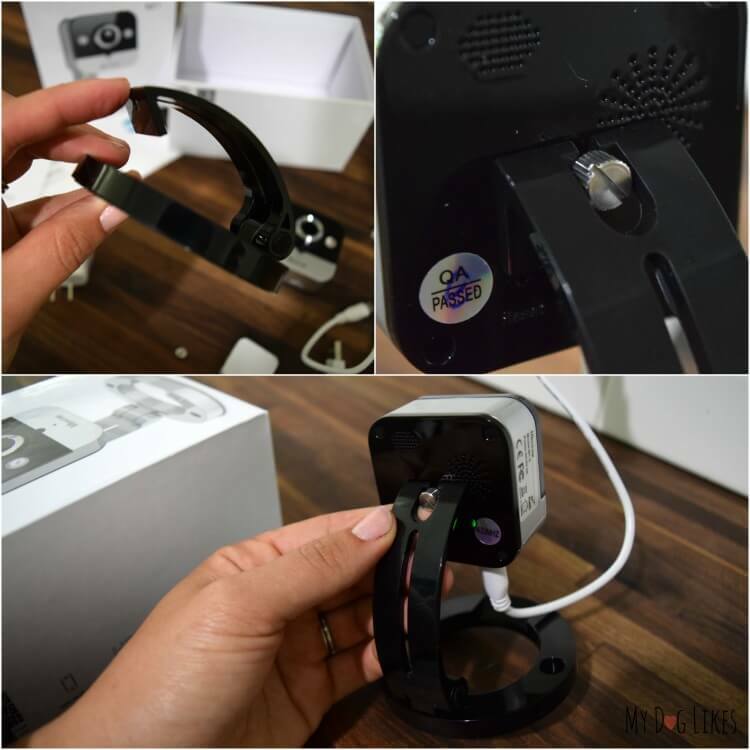 Not only does the Vimtag MV1 allow you to listen to what’s going on in the room you are watching, but it allows you to speak through the device as well. That means that should you catch some naughty behavior, you can put a stop to it while it’s happening! We tried this feature a few times and it always got the attention of whichever critter was in the room. 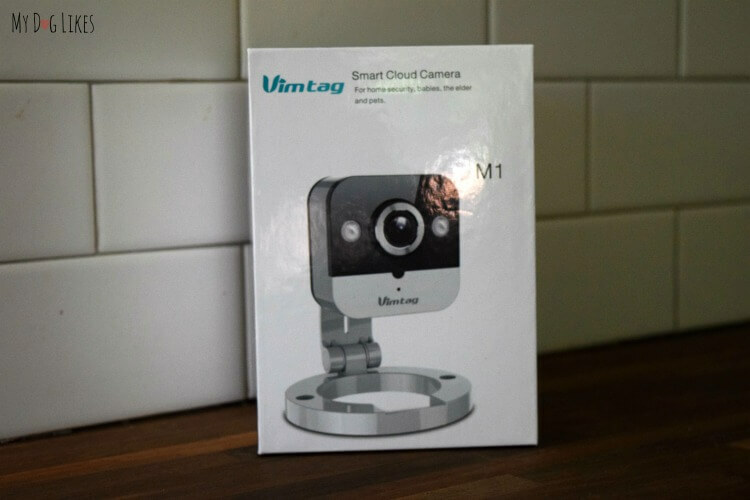 The Vimtag camera sets up in minutes and does not even require a hardwired internet connection to function. Just follow the directions on the quick start guide to connect to a wifi network. 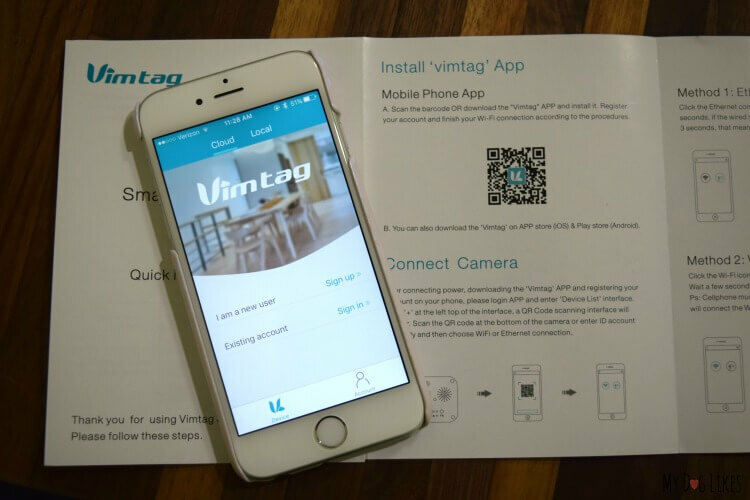 Afterwards you can either visit the Vimtag Application page or download the Vimtag App to access your camera. 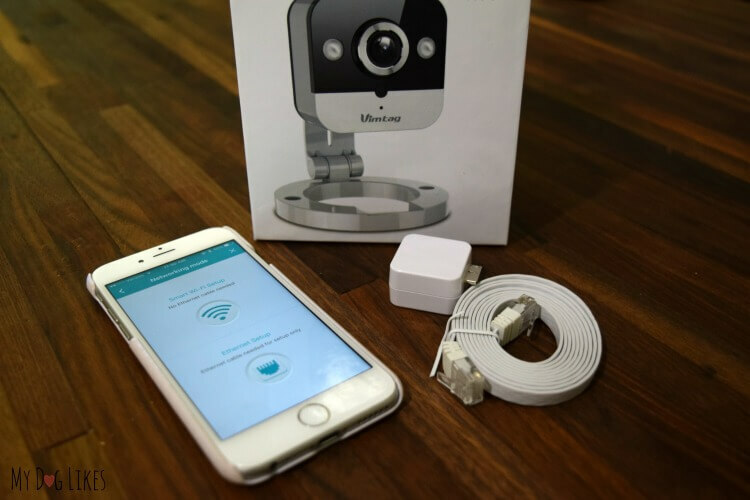 The camera can even be set up for multi-user functionality – so that you and your spouse (or whomever you would like) also has access to the camera. Here is what the mini cube camera looks like upon removal from the box. Included is the camera, a stand, a charging cable with 2 bases, and an Ethernet cable. Attaching the camera to the stand is as simple as tightening one thumbscrew. Next, attach the power cord and plug into a wall outlet. At this point your camera will turn on and is ready for activation! 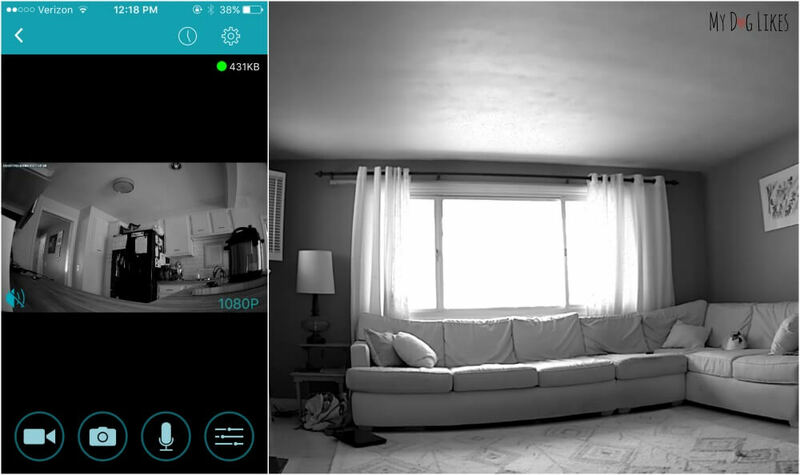 You will likely want to place your Vimtag camera in a spot where it can see all areas of a room. Thankfully, the stand has a built in hinge which allows for unlimited adjustments of the camera angle. You can watch the picture live on your phone or computer while you get the direction just right. 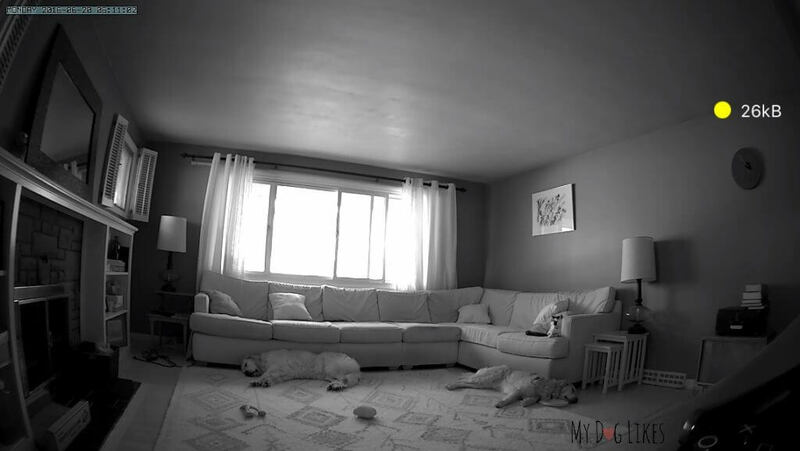 We chose to place the camera in our living room, where the animals spend 90% of the day. The M1’s broad viewing angle made it very easy to find a location on the TV stand where we are able to see the entire sectional couch and area rug – which they typically alternate between. It took us only a few minutes to set up our Vimtag M1 Camera (just as advertised). We had no issues whatsoever getting it connected to our wifi, or paired with the app on our mobile phone. Right away, we were extremely impressed with the definition and frame rate of this camera. We found that the app runs seemlessly on both wifi or cellular data and truly runs in real time. This lack of delay made it extremely easy to position in just the right spot. Those of you who follow us on social media know that we recently lost our beloved cat Maxwell. This was completely sudden and unexpected at only 6 years old. We have been worried about our other cat Lucas ever since, as he hates to be alone. He gets along fantastically with our dogs which is great, but we have been accustomed to leaving the cats overnight on occasion when we had an event. This past weekend was the first time that we encountered such a scenario where we needed to leave him alone for a night. We have never left Lucas completely alone, and we relied heavily on our new Vimtag camera to keep an eye on him. We felt that the ability to regularly check in on him (no matter where we were) was priceless. Being able to see him snuggled in his usual position of the couch put us very much at ease. Caught in the act! Lucas and Charlie cuddling while we’re gone! First and foremost – Piece of Mind! Perhaps your pet is getting older, has a specific health condition, or you are trying to keep an eye on a certain behavior. A web connected video camera is the perfect solution to put your fears to rest. 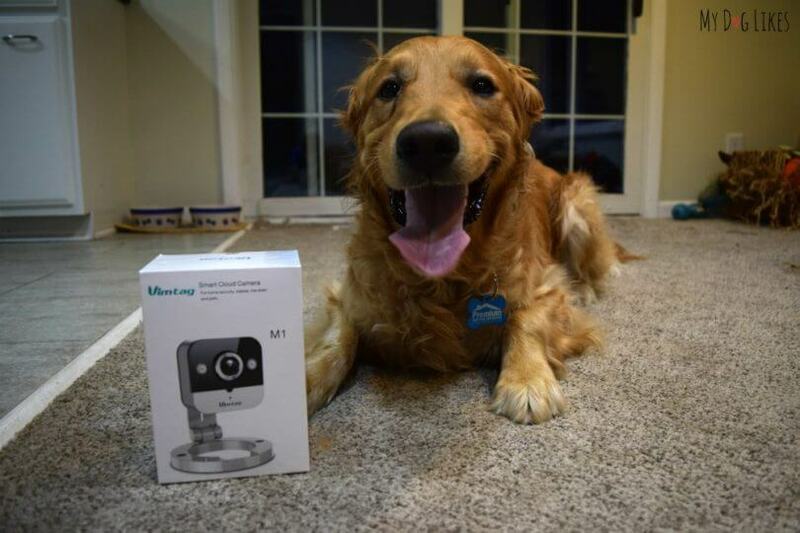 With just the touch of a button on your mobile phone you can be viewing your pet in real-time. Want to try out the Vimtag M1 Camera for yourself? Click Here to Purchase the Vimtag M1 on Amazon! I like that it can be set up in minutes. I shelter elderly rescue cats. I have 13 at the moment. I’m afraid they don’t do anything. They sleep most of the time. I like that the camera has night vision. I looked at one camera but you could not see the dog at all if she went in her crate because it was too dark. Love the security of not letting hackers in. We have 4 children and our 2 furbabies. Thats is number 1 on my priority list. Their safety. The review sounds nothing short of amazing and I’d be so happy to win and review as well. Thks so much! I like the night vision feature! I can see if my brofur stole my bone! Mommers likes knowing she can know we are safe at all times, and the 2-way sound feature will be good for both of us! This Vimtag camera looks amazing!! I love how you can use your phone with it! I’d LOVE to watch my dog, Oy, when I’m at work and make sure he is safe. I love how it has a wide lens so that you can see the entire room! 🙂 Love. I like the fact you can zoom in and adjust the view! That could be priceless! 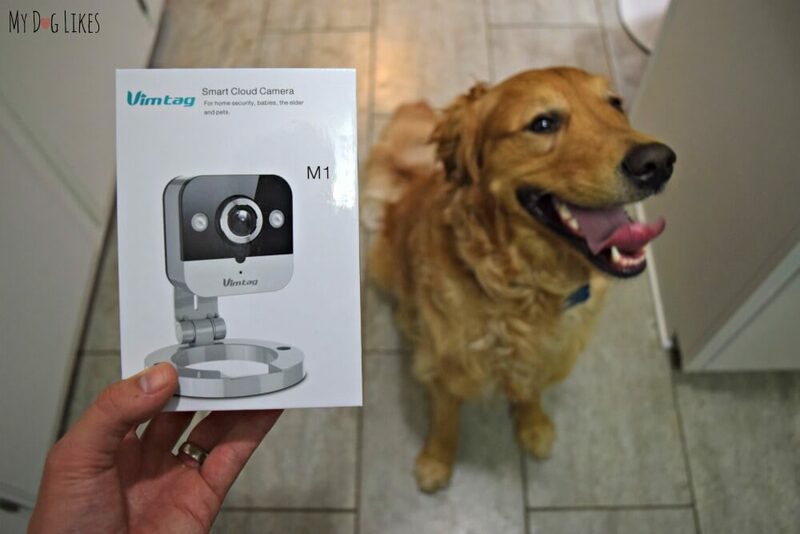 i would love to have this to monitor my elder dog when i am not home. i dont like to leave the house for very long now. i love that you can zoom in, it is easy to set up. and has 60days of video storage. I love the live video streaming via smart phone, tablet, and PC. That is keeps an eye on pups when we can’t! Could have used this when my dog was suddenly getting more barky. Turned out she was spending her afternoons parking at the kids who played at the new school bus drop off. My favorite feature is the night vision, and the security feature to help prevent hackers is a big plus. I love the night vision. Helps keep our mind at ease that our family is safe and sound no matter what time it is. i love how you can access it from your phone! Love that it has night vision! Hoping to win this!! 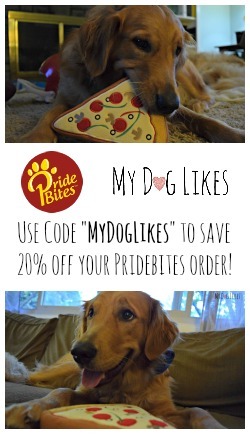 I love how there is two way sound- a perfect way to verbally praise the dogs for good behavior! This looks so cool! Would love to be able to keep an eye on and interact with our furbabies while we’re at work. I love the size and night vision. I like that it has 4 times Digital Zoom and Two-Way Voice. I like the fact that more than one person can access it and I also appreciate its security features. We love our regular Vimtag, so I’m sure this one is great too. My favorite feature is WIFI compatibility. I really like that I can speak to my dog through it, although I imagine that might freak her out a little bit if she knows I’m gone. But she is getting older, and I love the idea of being able to keep an eye on her when I’m away from home. I like the clear view that the camera has you don’t find that often in a camera like this. I really like the night vision, a great feature for sure! Love this! Thanks for the chance. The night vision feature. I need to see what my cat is stalking when it’s dark! My favorite feature is the wide lens. I love the small size of this Vimtag camera!!! I love how much gets shown to you when you check in with your phone! I like that it’s live video on my phone or tablet and the wide lens. I like the ease of set up. I like that you can store the video… I have a different model of this camera, and though- I thought- that it was connected to cloud so it would store the video, I can’t seem to make that happen. I can only watch live what’s going on, I can’t go through and see what happened previously. And it was difficult to set up at first (software wise- the instructions never matched what I was seeing on the screen) but got easier as I went along. This newer model looks so much better, and exactly what I was hoping for in the one I have. I love that it has live remote streaming. I love the remote live on your smartphone feature. I like the night feature as well as just being able to watch my pups while I’m away. It would be such a great peace of mind!! I love the wide lense of the camera! I will be transferring universities next semster to follow my dreams and will be living with 3 strangers, I will be taking my corgi Nala and being able to check on her while I’m at school during long days would make me so happy! Knowing she is safe and happy means the world to me! What a cute little camera and love how little time it took to set up. Your pups and you kitty clearly behave when you are away I’m scared to see what my two pups are up to when no one is home. I would love to be able to check in on my pup’s when I am out. The security is my favorite feature of the cam.That way I don’t have to worry about others being able to access the cam. Looks like there is pretty good quality video on this camera. I liked that it is good for monitering seniors. I care for my parents . The Vimtag camera would be great to check in on my aussie, Drago and kitty, Quincy whenever we both need to be away from the house. And being able to access the camera from my phone would make it so simple to do that. Great to check up on all my babies. I like the super clear night vision function! I like the night vision feature. I love the easy set up and the night vision features. I’m impressed that video can be viewed at HD720p. That’s really great and crisp! Wow! This sounds amazing, light weight, Extremely wide viewing lens, so many things I love about this! My favorite is the fact that it has night vision features! I love that you can control it from your smart phone! I love the fact that you can view your pet in real time on your phone! I love that you can talk through it. I would love to see my cat trying to figure out where I am. Even though we are rarely away from the Boys often, I think I would love to see them in action when I’m gone. Might have to try this. I love that it has a Extremely wide viewing lens to cover every corner of the room. My favorite feature of the Vimtag Mini Cube Camera is the Super Clear Night Vision Up to 10 Meters. This looks so nifty! I would LOVE to know what my fur kids are up to when I’m away! I like that it has night vision. I like that it has super Clear Night Vision Up to 10 Meters. I love that it has night vision. I have always wondered what went on while I slept! Oh I really love the Extremely wide viewing lens to cover every corner of the room! Thanks for the post. Since I have to go outside for work, I really worry about my pets. I have 2 dogs and 2 cats. When I’m away, I worry that they won’t get along together. But thanks to your post. I can watch them form distance. My favorite feature is the extremely wide viewing lens to cover every corner of the room. I like the Vimtag SOS button, where you can call direct. I would like to watch the remote live streaming. I am curious what my dogs do at home. I work a lot! I worry about my pets when I’m at work. I love the Remote live video streaming. It would give me piece of mind, to be able to see my babies are safe while I am on lunch break. My favorite feature is the remote live video streaming via smart phone, tablet, and PC app. I am curious to know what my fur babies are doing when I am not home. I like the side by side camera app view! Love the fact that it has two way sound. My cat’s been peeing at this particular corner of the kitchen floor since forever, and I’ve tried many ways to deter her from doing it, but they just don’t work. I’m hoping a loud ghostly “HAAA!” would scare her back into the litter box. I think she doesn’t like sharing a toilet with her brother (Though providing two litter boxes has been a useless endeavour). Being able to view my pet in real time from my phone is my favorite feature! I really love it all! The night vision is just awesome! 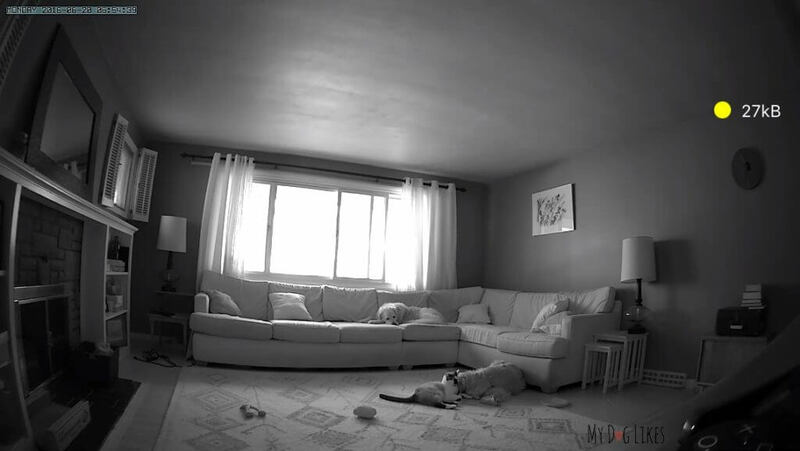 I have ALWAYS wanted to spy on my dogs while we’re away, this is SO perfect! I like that the camera has night vision. I like the night vision feature! I really like the night vision feature. I want to see the mischief snd general debauchery my cats get into at night. 60 days storage space is the feature on Vintage M1 Mini Cube Security Devices IP Camera I like because of I can go back to review. i like that it has 60 days of storage space. Wow, this is great! I love the fact that you can watch it on your phone. Thanks for the chance to win! My favorite feature of the Vimtag Cube camera is the super clear night vision of up to 10 meters. Oh night vision, for sure! I like the 4 x zoom so I can get a good look at what is going on. The night vision is my favorite! So many adventures to go on now. This high class camera has so much I like about it. With giving it thought, I have the perfect purpose for this item – it would offer support for a senior loved one. With it they can feel safer, the loved one – though struggles to learn electronics – can call for help directly to the phone app via the Vimtag SOS button! Should finances permit they can be alerted to watch and talk live in case help is needed! I love that it has two way sound.